This popular tree that thrives in Maryland can grow to be a large tree with broad branches. It is a hardwood that can reach up to 100 feet tall and the canopy can extend almost parallel to the ground. White Oaks are found all around the area and are considered to be a secure species due to their history of century long growth. 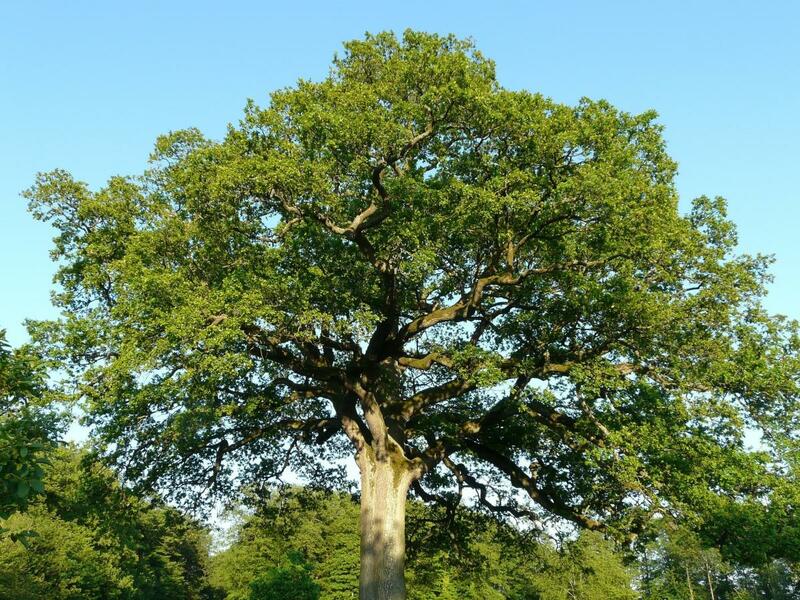 White Oaks can live about 300 years in good conditions with some Maryland White Oaks believed to be even older. Springtime brings leaves that are mixture of silver and pink along with a soft looking film. 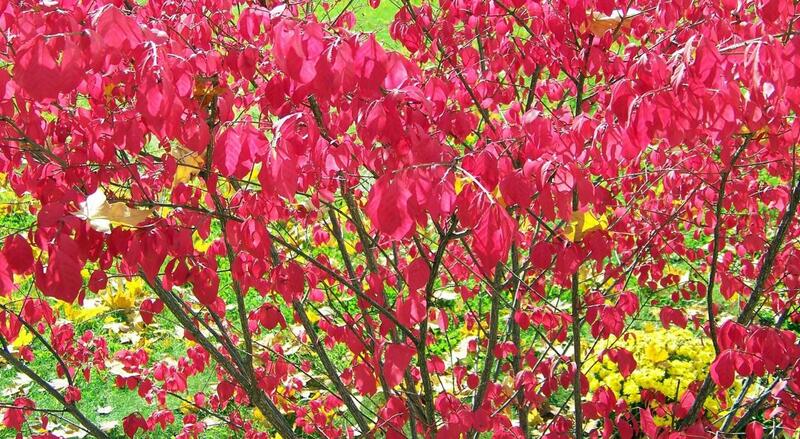 The leaves turn light red in the fall offering a beautiful variety of color as well. This beautiful flowering shrub is common in wet areas along ponds and marshes, and can often be found at any of the botanical gardens in Maryland. 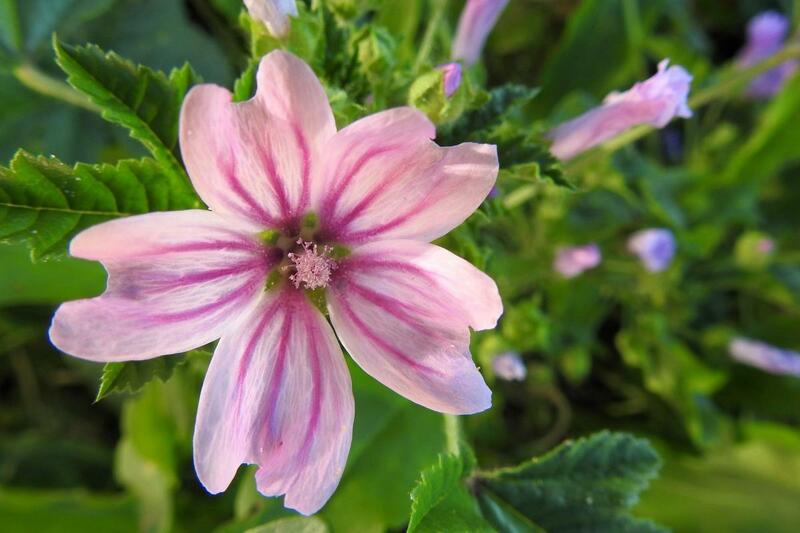 The Rose Mallow can be anywhere between 4-7 feet high and offers white or pink flowers with dark red centers. As part of the hibiscus family, Rose Mallows look very tropical despite doing well in Maryland. They are a perennial herbaceous plant that will stick around through harsh Northeastern winters. The large blooms attract Hibiscus bees which are native to Maryland as well as other bees. Hummingbirds will also be a frequent visitor of the gorgeous deep throated flowers. The Rose Mallow is an important host plant for many butterfly and moth caterpillars as well. 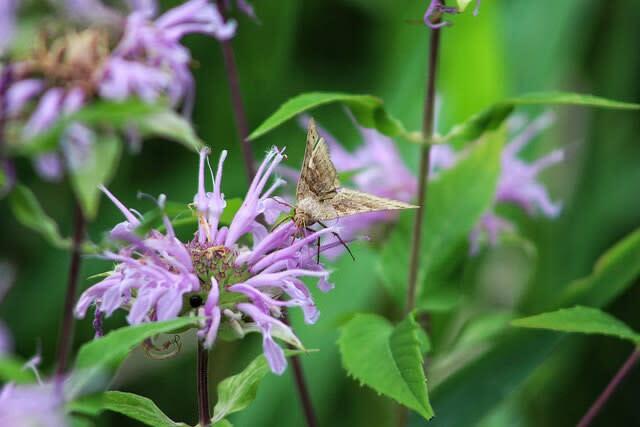 As part of the mint family, the Wild Bergamot is a native species that can be seen all around the Frederick area. It is a perennial plant that is commonly seen in areas of dry soil. Wild Bergamot offers beautiful light purple tubular blooms that come off one central head in late summer. It attracts a lot of different pollinators including bumblebees, moths, and swallowtail butterflies. Wild Bergamot does well in wooded areas as it is rabbit and deer proof as well. 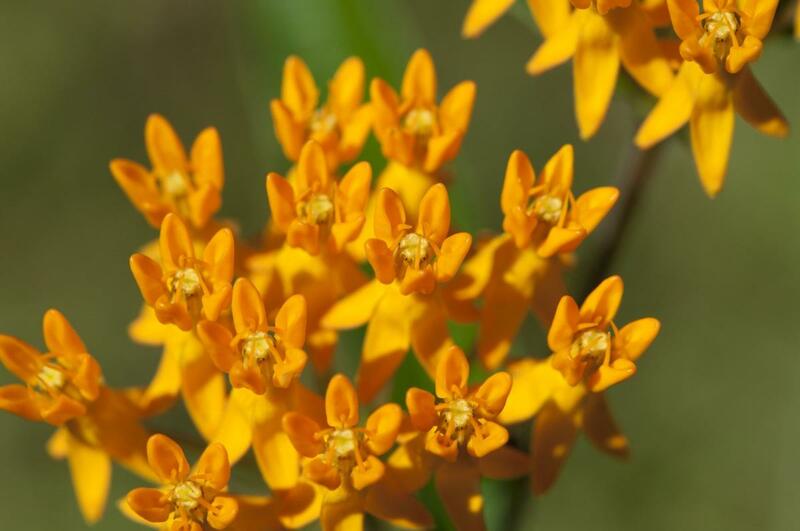 With more Frederick homeowners choosing to incorporate native species into their gardens, Butterfly Milkweed is popping up everywhere in the area. This important plant offers important nectar to area pollinators and monarch butterflies, in particular. Thick hairy stems are topped with small beautiful orange blooms that are crowded together to form a rounded shape. Each 5 petaled flower offers a great spot for butterflies and hummingbirds to collect nectar. Butterfly Milkweed is usually planted by seed in formal gardens as the plant does not transplant well. You’ll notice these plants in wild meadows as well. Considered an invasive species in Maryland, the Burning Bush is a shrub that can be seen all around the Frederick area. It is located in wild areas but is also used in cultivated gardens despite its invasive classification. Burning bush produces a large amount of berries which attract area birds who spread the seeds throughout the state. You’ll notice many Burning bushes crowd out nearby native species as well. The plants in the Frederick area are breathtaking: from massive White Oak trees to stunning Rose Mallows to the invasive Burning Bush there is always a large variety of shapes and colors while enjoying the outdoors. There are plenty of native options that offer a show of pollinators to enjoy as well. 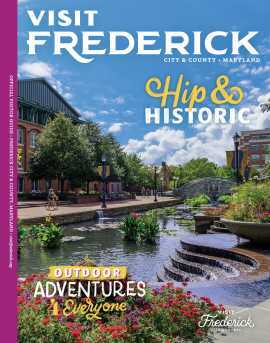 See how many of times you can spot these five plants that you will see everywhere in Frederick during your next visit to the area. Rachael is an avid gardener, both indoors and in her backyard sanctuary. She can often be found exploring nature off the beaten track or enjoying the company of local neighborhood dogs.